Airline Allied Services Limited is Public Sector Undertaking of the Government of India and is a subsidiary of Indian Airlines. Established in 1983, the company provides support services to Indian Airlines such as air transport services and manage airplane purchase, lease and sale transactions. Applicants who have completed 10th, 12th, Diploma, UG, PG, MBA or equivalent from a recognized Institute for AASL Sarkari Naukri 2019. 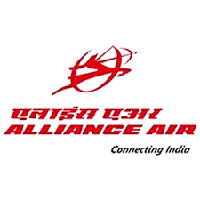 Eligible & Interested candidates can Download Notification From Official website page at www.airindia.in AASL Sarkari Naukri 2019.